SELLER SAYS BRING ME AN OFFER ASAP!!! TRY VA NO NO AND ANY REASONABLE OFFER WILL BE CONSIDERED. 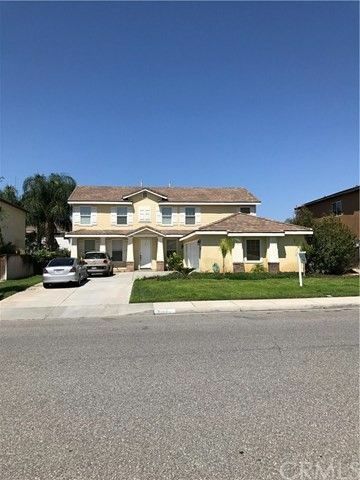 HOME HAS SO MANY GREAT FEATURES AND SELLER IS RELOCATING SO CALL AND SEE THIS LOVELY HOME. THE FLOORING & WINDOW TREATMENTS WILL TAKE YOUR BREATH AWAY! THIS HOME HAS IT HANDS DOWN. SELLER INSTALLED HARDWOOD FLOORS INCLUDING THE STAIRWAY, LARGE FORMAL DINING ROOM, FIREPLACE, BUILT INS AND A KITCHEN THAT A CHEF WILL ADORE. SPACIOUS LOFT ON 2ND FLOOR IS HUGE! PERFECT FOR LARGE TV, POOL TABLE OR OTHER USES REQUIRING SPACE. SPACIOUS OPEN FLOOR PLAN AND WINDOWS TO ALLOW THE MENIFEE LIGHTS TO SHINE FROM DAWN TO DUST. WAIT UNTIL YOU SEE THE MASTER BEDROOM AND RETREAT! THREE BEDROOMS AND TWO BATHS ON 2ND LEVEL. SELLER RELOCATING AND VERY MOTIVATED. ALREADY PACKING AND WAITING TO GO INTO ESCROW. PLEASE CALL FOR CONVENIENT APPOINTMENT.